Your home should be the #1 place you feel safe and secure in. After all, your home is where your loves one is and where all you store all personal belongings. Locksmith London can tailor security measures according to your needs. The safety and security of your home or apartment in London is our only priority. Our locksmith will ensure that your resident is safe and sound while you’re there and while you’re away. We offer a variety of residential locksmith services in London, ON. Such as the installations and repairs of locks, safes, intercoms, doors and gates. Our expert locksmiths can properly change the locks of your house, apartment or loft. Whenever you need an expert locksmith at your door, all you have to do is call us (866) 820-1331! On occasion, you may misplace or lose your keys. If this situation were to occur, our emergency locksmith team will be there to assist you. To guarantee your safety, you must take the necessary precautions. Let us help you eliminate the possibility of someone breaking into your home and aid in keeping your home secure and safe. Our certified locksmith will help prevent the entry of a burglar. In addition, we provide high security locks like mul-t-locks or medeco, and much more. This will guarantee the security of your belongings and information in your household. Our locksmiths also provide the installation of gates on your property if needed. 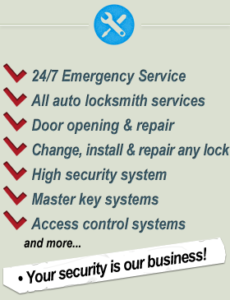 We are your #1 Locksmith in the area! There are a variety of professional services including entry installation for residential and commercial buildings. Or the installation, repair and re-keying for automobiles. Our Locksmiths can provide a security analysis. As well as make recommendations and provide the installation of security devices for both interior and exterior entries. In addition to providing 24 hour emergency services. We can rekey and reproduce keys, provide automotive lock entry and solutions to industrial security requirements. 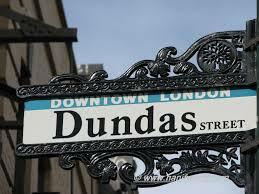 If you need a locksmith in London Ontario – we are the people to call (866) 820-1331. Household entry systems are treated the same as any household décor. They come in virtually every shape and style imaginable; to not only compliment your exterior doors, but to prevent unwanted entry. The most common household entry systems found on houses are the traditional key entry doorknobs or handsets and dead bolts. These come with a variety of options from having the handset and the dead bolt keyed separately, the deadbolt keyed inside and out, or a handle set that allows both the latch and the deadbolt to be opened at one time. Household entry systems are available in basic to commercial security levels. Locksmith London offers a range of locksmith services for all businesses in London, big or small. Whether you operate a small family-owned business or a large corporation, our locksmith specialists can install and repair any locks or security devices you may need. We provide reliable commercial security solutions for small businesses, large corporations, organization offices, retail stores, management companies and shops in the London region. Our goal is for your business to be safer and run more efficiently. Our expert business locksmiths can ensure the safety of your business with the installation of top notch security equipment. We can provide you with the latest CCTV solutions that are subtle yet effective. In addition, we can fix or install safes, doors, gates and alarms. We will make sure that every inch of your business is secure. We can be reached 24 hours a day! At Locksmith London, we uphold a high standard of dedication and professionalism. Our business locksmiths are experienced and qualified technicians that will get the job done. We guarantee satisfactory customer service and affordable pricing. The locksmiths at Locksmith London are reliable and trustworthy. Electronic style access allows workers to scan a card or enter a code to gain access to the building or an interior room, eliminating the need for keys. Interior entry systems are more traditional key style security devices for office or storage doors, desks and file cabinets. Typical business and office entry systems include electronic style access from exterior doors or more high security locks. Reach us anytime at; (866) 820-1331, We proudly operate 24 hours a day, for no matter what life throws at you! More than often, car owners have been in a position where they’ve misplaced their car keys, accidentally left them in the ignition, or jammed their key into the door to get inside. These stressful situations can be eased with the help of a car locksmith. 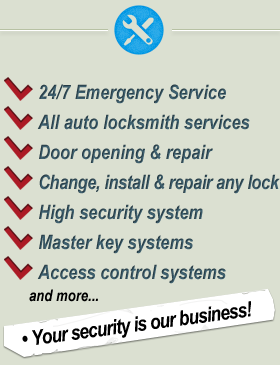 Furthermore, the automotive locksmiths at Locksmith London specialize in dealing with emergency situations. In the event of a car lockout, one of the experts Locksmith London can assist you within minutes. The car lockout locksmith can cut the keys by code, copy the transponder and the key fob to restart the car. In addition, our locksmith can reproduce new keys on site, allowing you to get to your destination without any further delay. If necessary, the door lock can also be repaired. On the other hand, you may just want to take the precautionary measure of having a spare car key. Our car locksmiths in London are skilled in auto key duplication, so they can provide that service as well. Because any problem you may have with your car can be solved with the help of our certified locksmith technicians.